Maintaining proper fire alarm systems is crucial for everyone’s safety. 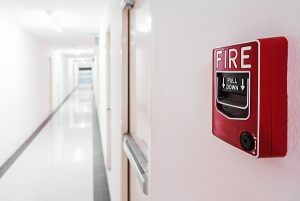 One of the often overlooked systems in an apartment building or home is the fire alarm system. In fact, critical in protecting occupants against fire and detecting smoke, fire alarm systems are an essential component of any fire safety plan. As a result, it is imperative that fire alarm systems are maintained so that they are in proper working order in case a fire does break out. Every single year, without fail, fire and rescue responders are called out to over 600,000 fire-related incidents. The numbers of deaths and injuries that result are sky-high. In fact, having a proper fire alarm system can reduce these figures significantly. As a result, it would behoove every single homeowner and apartment building owner to invest in proper installation and maintenance of all fire alarm systems for their protection and the safety of their families. For most homeowners changing their smoke alarm battery is a regular practice. However, there are the select few that never got the memo. It is critical that every single homeowner understand the importance of proper maintenance and installation of their smoke detectors in the event of a fire-related emergency. Simple, standard environmental conditions can have an impact on the effectiveness of your smoke alarm. As a result, reaching out to a professional who can conduct a regular inspection becomes a necessity for everyone’s safety in the event of a fire. How Old Is Your Fire Alarm? For most people, purchasing a home with an already installed fire alarm is commonplace. However, knowing how old that fire alarm is can go unanswered. In fact, many homeowners are simply unaware of the age of their smoke alarms. And this could be disastrous in the event a fire breaks out. Homeowners should be able to locate the manufacture date on the back of the fire alarm which can give them a better sense as to how old their system is. If a fire alarm is made before 1997, professionals encourage homeowners to consider switching to the smoke and carbon monoxide alarm which can be more beneficial than a traditional fire alarm of years past. This entry was posted on Friday, September 1st, 2017 at 12:02 pm. Both comments and pings are currently closed.